So summer is approaching and this would be the first summer try Cooper in sport games, if we find one for his age and that he wants to do. I can honestly tell you I would kill to be a hockey mom. I love watching hockey and I think I would be very, lets just say, vocal. So I was reading in a magazine the other day about how sports injuries are up like 400% for knee injuries and ACL tears. I have a torn ACL and I wouldn’t wish this on any child. So I am sure at the age of four Cooper won’t be playing hockey, but one day I will get my dream, or maybe not. So this article goes into ways we can keep our young kids safe while playing sports. Play a variety of sports and don’t just stick with one sport. Too much of the same sport puts a lot of physical activity on your child’s body. By trying different ones you might be surprised what your child would really love. Make sure you know your child is doing all the moves, kicks, and turns correctly. 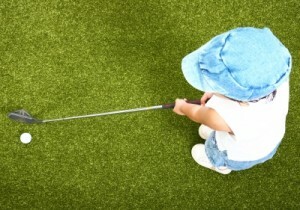 One wrong move can really harm your child. If you have older children make sure they are strengthening and conditioning those muscles so there is less risk of injury. Make sure if your child is doing appropriate stretches before and after whatever sport they choose. I remember even play golf, yes golf is a sport in schools, I would always stretch my arms and back before a meet. This makes it a lesser risk of injury. So I am not really sure what I will get Cooper into this summer but I know sports would be a great thing for him to get involved in. Sporting activities are great learning experiences for children. They learn to listen, follow directions, and most importantly they learn to work together as a team. I would love to hear if you have a child in sports or if you can recommend what sport I could put Cooper in. Cooper is around 4 years correct? I’d recommend kiddie T-Ball and a preschool soccer league. Alaina Frederick´s last blog post ..Feeding Picky Eaters? Smoothies! I was thinking T-Ball myself. I need to research now to make any deadlines. I second soccer. We have been talking about putting our preschooler into soccer since before she was born since Baba is a HUGE soccer fanatic. Great, easy game for little kids to handle and have fun with. Vicki´s last blog post ..Bed Hopping: The New Norm or Are We Just Crazy?